This document was last updated on March 8th, 2019. We collect information from you when you register with our Site in order to provide basic account functionality, such as your username, email address, password and location. As you use the Site, we could collect other data that you provide voluntarily (such as comments that you post), candidate or employer profile information as mentioned below. If you create a profile in our Resume Database we will collect information that you provide voluntarily, such as a your work history, education history, a bio of yourself, email address, and your Resume / CV file. The Resume / CV file is a document (typically in PDF or Word Doc format) that you can choose to uploaded to our website and it is attached to your candidate profile. The Resume / CV file will not be altered by VeganJobs.com and will contain whatever data you which you added to the document, such as your educational and work history, personal bio, references, and contact information which you may include as an email, phone and postal address. Some of the information in your Candidate Profile will be made public, which means just that, it’s public and can be seen by anyone visiting our website. Please keep this in mind when choosing what you wish to display as public in your profile. Other other profile data, including your CV / Resume file will be available only to Employers as described in Section 3 below. If you join as a an employer, we will collect information that you provide voluntarily, such as a description of your company, your company’s logo, various social media URLs, the founding year of your company and your company’s location. If you submit a job listing we will collect a description of the position that you are seeking candidates for, and an application email address where applications will be sent, or or alternatively a URL where Candidates can visit to submit an application. We may collect your email address, but only if you voluntarily provide it to us. We will use your email address for the purposes for which you provided it to us, and also from time to time to send you emails regarding the Site or other products or services that we believe may be of interest to you. You may opt out of such email communications at any time by clicking the “unsubscribe” button in the email. If you voluntarily signup for job alerts we will send you email address based on the settings and frequency you choose. You may cancel your subscription to job alerts at anytime. Account passwords are kept private unless we are required by law to cooperate with law enforcement. In some cases your username may be your email address, and this may be revealed as detailed in 3.2 below. If you have created a Candidate Profile on our website, all fields marked “Publicly Viewable” are accessible by anyone who visits your Candidate Profile. These fields include what you enter as your: Candidate Name, Title, Location, Category Tags, Skills, Profile Photo, and questions such as “Are you Willing to Relocate?” and “Are you Interested in learning of Collaboration Proposals?“. When filling out a Candidate Profile and when viewing your profile on our website when you are logged in, we display a message reminding you what is available for general public viewing. b. Data Made Available to Employers who have been approved to access the Resume Database. If you have created a Candidate Profile, fields marked “Available to Employers Only” include Work History, Employment History, Introduction/Summary, Resume File and Email Address are available only to Employers that VeganJobs.com has approved to have access to the Resume Database. Please see 3.3 below to understand what an “approved employer” means. While we do our best to ensure someone presenting themselves as an Employer has good-faith interest in your Candidate data, we can not absolutely guarantee their good-faith. Like other Jobs Sites and Listing Services of many kinds, we are not responsible for fraudulent posts that may have malicious intentions, however we will absolutely remove such posts or accounts as soon as it comes to our attention. Our Job and Employer approving Operator has years of fraud fighting experience, however even the best can be fooled or be subject to human error. We to date have not yet had a “scam job post” or to our knowledge a bad-faith party gain access to our Resume Database, we can not guarantee that will never happen. Furthermore, we can not guarantee an Employer’s account will never be compromised. By using our website you agree that you understand these risks. Before granting Resume Database access, or approving a job post, we review an Employer’s user account to check that they represent an employer who is established online. We verify the user represents the Employer by checking that the user account’s verified email address is using the same domain name of the Employer and if not, we contact the Employer at the email or phone number listed on their website to verify the account holder is associated with them. If the Employer is in early stages of development, we will seek other documentation and verification, and examine if the individual with the business is a known person with a reputation online. 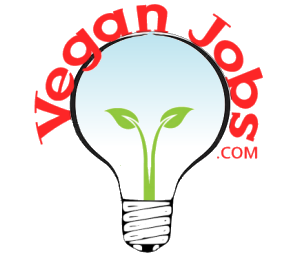 VeganJobs.com takes steps to verify a company or organization is vegan oriented and only offers vegan products. We ask all Employers to agree to follow local and regional regulations when it comes to handling and processing Candidate data, protect their logins and use unique secure passwords, however we are unable to audit their practices and handling of data. You may contact each Employer if you have questions or concerns about their data handling practices. When you submit an application to an Employer on a Job post through our website, we allow you to write a cover letter/message to them, as well as one or more of the following: 1. Link to your existing Candidate Profile on the website. 2. Attach a CV file to submit which will be uploaded and the URL to the CV file provided to the employer. We can make no guarantee of an employers safe handling practices of your data. You may choose to not apply through our website, and to contact about their data handling policy, or apply to an Employer directly by way of asking them how to do so. Nearly all Employer information in an Employer’s user account on our Site is made available to the public. Login, password, and account email addresses are not revealed unless an Employer lists them in a job description. We keep your account and profile open until you delete it. We collect personal identification information from Users in a variety of ways, including, but not limited to, when Users visit our site, fill out a form, subscribe to a newsletter, and in connection with other activities, services, features or resources we make available on our Site. Users may be asked for but not limited to, as appropriate, name, email address, mailing address, phone number, location, employment history and education history. Users may, however, visit our Site anonymously or elect to share limited information with us. We will collect personal identification information from Users only if they voluntarily submit such information to us. Users can always refuse to supply personally identification information, except that it may prevent them from engaging in certain Site related activities (for example submitting a resume without an email address). We may also collect information about you through other methods, including research surveys, social media platforms, verification services, data services, as well as public sources. We may use your personally-identifying information for a variety of our internal business purposes, such as creating a better user experience for the Site, diagnosing and troubleshooting malfunctions on the Site, better understanding how the Site is used, and making personalized recommendations to you. If we find any data on our site has been breached, we will alert users promptly and take immediate steps to secure the website. We operate a WordPress website with a leading job board plugin and theme. We keep plugins updated and have added security plugins to help thwart attacks and block exploits that may arise in other plugins. We subscribe to plugin security alerts. We use a webhost known for responsible operation and secure servers. For all account removal requests we follow the GDPR data removal requirements and use software that links your data in various fields in our database to a removal tool which we use. In addition, we have identified certain fields our automated data removal tool does not reach, and hand process the deletion of these database fields. Under Article 12.3 of the GDPR, we have 30 days, however we attempt to respond to all data removal requests within 48 hours. Please note that you may immediately remove (or hide) your Candidate Profile, or delete your Job Post at anytime. We store daily backup files for 30 days. While we have no plans to, we must state that in the event that the VeganJobs.com is sold or merged with another company, the information we have collected about you may be one of the assets sold or merged in connection with that transaction. The rights in material on the Website are protected by international copyright, and you agree to use the Website in a way which does not infringe these rights. You may copy material on the Website for your own private or domestic purposes, but no copying for any commercial or business use is permitted.